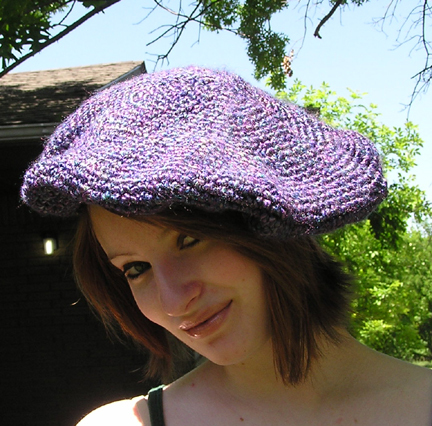 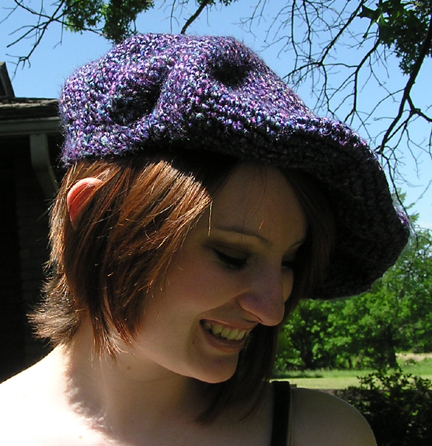 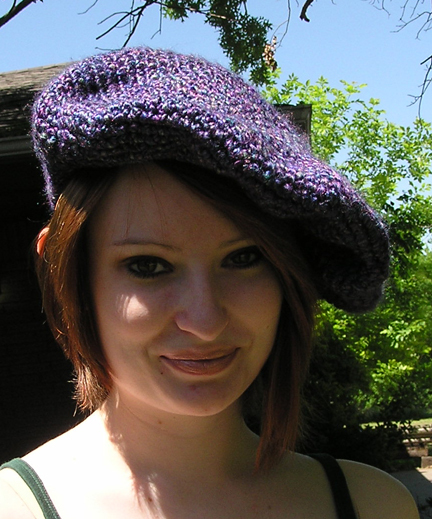 The Beret is made with LionBrand Homespun yarn in blended shades of violet and dark blue. 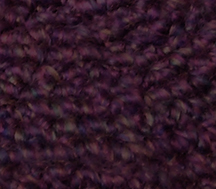 This is a soft textured yarn. 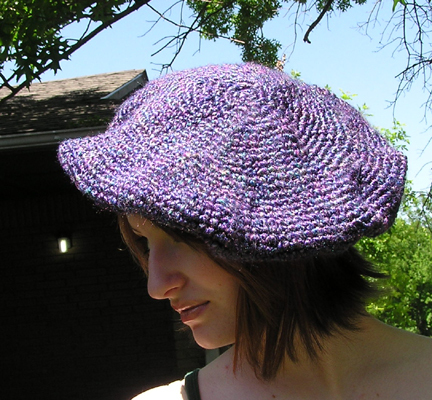 98% acrylic, 2% polyester.